Renewable forms of energy are growing far faster than anyone expected. But so is the use of oil, coal, and natural gas. Here’s the good news: Wind power, solar power, and other renewable forms of energy are expanding far more quickly than anyone expected, ensuring that these systems will provide an ever-increasing share of our future energy supply. According to the most recent projections from the Energy Information Administration (EIA) of the US Department of Energy, global consumption of wind, solar, hydropower, and other renewables will double between now and 2040, jumping from 64 to 131 quadrillion British thermal units (BTUs). The contradictory and troubling nature of the energy landscape is on clear display in the 2016 edition of the International Energy Outlook, the annual assessment of global trends released by the EIA this May. The good news about renewables gets prominent attention in the report, which includes projections of global energy use through 2040. “Renewables are the world’s fastest-growing energy source over the projection period,” it concludes. Wind and solar are expected to demonstrate particular vigor in the years to come, their growth outpacing every other form of energy. But because renewables start from such a small base—representing just 12 percent of all energy used in 2012—they will continue to be overshadowed in the decades ahead, explosive growth or not. In 2040, according to the report’s projections, fossil fuels will still have a grip on a staggering 78 percent of the world energy market, and—if you don’t mind getting thoroughly depressed—oil, coal, and natural gas will each still command larger shares of the market than all renewables combined. Keep in mind that total energy consumption is expected to be much greater in 2040 than at present. At that time, humanity will be using an estimated 815 quadrillion BTUs (compared to approximately 600 quadrillion today). In other words, though fossil fuels will lose some of their market share to renewables, they will still experience striking growth in absolute terms. Oil consumption, for example, is expected to increase by 34 percent from 90 million to 121 million barrels per day by 2040. Despite all the negative publicity it’s been getting lately, coal, too, should experience substantial growth, rising from 153 to 180 quadrillion BTUs in “delivered energy” over this period. And natural gas will be the fossil-fuel champ, with global demand for it jumping by 70 percent. Put it all together and the consumption of fossil fuels is projected to increase by 177 quadrillion BTUs, or 38 percent, over the period the report surveys. At the United Nations Climate Summit in Paris last December, delegates from more than 190 countries adopted a plan aimed at preventing global warming from exceeding 2 degrees Celsius (about 3.6 degrees Fahrenheit) above the pre-industrial level. This target was chosen because most scientists believe that any warming beyond that will result in catastrophic and irreversible climate effects, including the melting of the Greenland and Antarctic ice caps (and a resulting sea-level rise of 10–20 feet). Under the Paris Agreement, the participating nations signed on to a plan to take immediate steps to halt the growth of greenhouse-gas emissions and then move to actual reductions. 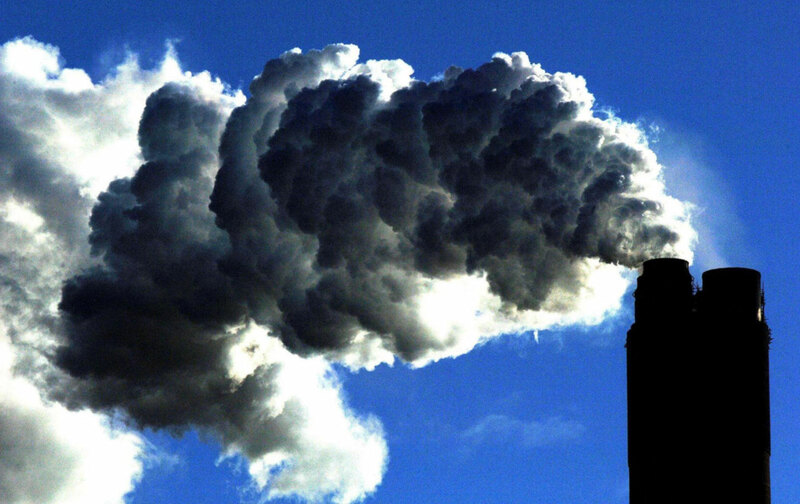 Although the agreement doesn’t specify what measures should be taken to satisfy this requirement—each country is obliged to devise its own “intended nationally determined contributions” to the overall goal—the only practical approach for most countries would be to reduce fossil-fuel consumption. As the 2016 EIA report makes eye-poppingly clear, however, the endorsers of the Paris Agreement aren’t on track to reduce their consumption of oil, coal, and natural gas. In fact, greenhouse-gas emissions are expected to rise by an estimated 34 percent between 2012 and 2040 (from 32.3 billion to 43.2 billion metric tons). That net increase of 10.9 billion metric tons is equal to the total carbon emissions of the United States, Canada, and Europe in 2012. If such projections prove accurate, global temperatures will rise, possibly significantly above that 2 degree mark, with the destructive effects of climate change we are already witnessing today—the fires, heat waves, floods, droughts, storms, and sea-level rise—only intensifying. To some degree, it is undoubtedly the product of built-in momentum: Our existing urban, industrial, and transportation infrastructure was largely constructed around fossil fuel–powered energy systems, and it will take a long time to replace or reconfigure them for a post-carbon future. Most of our electricity, for example, is provided by coal- and gas-fired power plants that will continue to operate for years to come. Even with the rapid growth of renewables, coal and natural gas are projected to supply 56 percent of the fuel for the world’s electrical-power generation in 2040 (a drop of only 5 percent from today). Likewise, the overwhelming majority of cars and trucks on the road are now fueled by gasoline and diesel. Even if the number of new ones running on electricity were to spike, it would still be many years before oil-powered vehicles lost their commanding position. As history tells us, transitions from one form of energy to another take time. Then there’s the problem—and what a problem it is!—of vested interests. Energy is the largest and most lucrative business in the world, and the giant fossil-fuel companies have long enjoyed a privileged and highly profitable status. Oil corporations like Chevron and ExxonMobil, along with their state-owned counterparts like Gazprom of Russia and Saudi Aramco, are consistently ranked among the world’s most valuable enterprises. These companies—and the governments they’re associated with—are not inclined to surrender the massive profits they generate year after year for the future well-being of the planet. As a result, it’s a guarantee that they will employ any means at their disposal (including well-established, well-funded ties to friendly politicians and political parties) to slow the transition to renewables. In the United States, for example, the politicians of coal-producing states are now at work on plans to block the Obama administration’s “clean power” drive, which might indeed lead to a sharp reduction in coal consumption. Similarly, Exxon has recruited friendly Republican officials to impede the efforts of some state attorney generals to investigate that company’s past suppression of information on the links between fossil-fuel use and climate change. And that’s just to scratch the surface of corporate efforts to mislead the public that have included the funding of the Heartland Institute and other climate-change-denying think tanks. Of course, nowhere is the determination to sustain fossil fuels fiercer than in the “petro-states” that rely on their production for government revenues, provide energy subsidies to their citizens, and sometimes sell their products at below-market rates to encourage their use. According to the International Energy Agency (IEA), in 2014 fossil-fuel subsidies of various sorts added up to a staggering $493 billion worldwide—far more than those for the development of renewable forms of energy. The G-20 group of leading industrial powers agreed in 2009 to phase out such subsidies, but a meeting of G-20 energy ministers in Beijing in June failed to adopt a timeline to complete the phase-out process, suggesting that little progress will be made when the heads of state of those countries meet in Hangzhou, China, this September. None of this should surprise anyone, given the global economy’s institutionalized dependence on fossil fuels and the amounts of money at stake. What it doesn’t explain, however, is the projected growth in global fossi-fuel consumption. A gradual decline, accelerating over time, would be consistent with a broad-scale but slow transition from carbon-based fuels to renewables. That the opposite seems to be happening, that their use is actually expanding in most parts of the world, suggests that another factor is in play: addiction. Most of the increase in demand for petroleum-based fuels is expected to occur in the developing world, where hundreds of millions of people are entering the middle class, buying their first gas-powered cars, and about to be hooked on an energy way of life that should be, but isn’t, dying. Oil use is expected to grow in China by 57 percent between 2012 and 2040, and at a faster rate (131 percent!) in India. Even in the United States, however, a growing preference for sport utility vehicles and pickup trucks continues to mean higher petroleum use. In 2016, according to Edmunds.com, a car shopping and research site, nearly 75 percent of the people who traded in a hybrid or electric car to a dealer replaced it with an all-gas car, typically a larger vehicle like an SUV or a pickup. Unfortunately, despite that reputation, natural gas remains a carbon-based fossil fuel, and its expanded consumption will result in a significant increase in global greenhouse gas emissions. In fact, the EIA claims that it will generate a larger increase in such emissions over the next quarter-century than either coal or oil—a disturbing note for those who contend that natural gas provides a “bridge” to a green energy future. If you were to read through the EIA’s latest report as I did, you, too, might end up depressed by humanity’s addictive need for its daily fossil-fuel hit. While the EIA’s analysts add the usual caveats, including the possibility that a more sweeping than expected follow-up climate agreement or strict enforcement of the one adopted last December could alter their projections, they detect no signs of the beginning of a determined move away from the reliance on fossil fuels. Consider, for example, the case of anti-smoking efforts. It was the medical community that first took up the struggle against tobacco and began by banning smoking in hospitals and other medical facilities. This effort was later extended to public facilities—schools, government buildings, airports, and so on—until vast areas of the public sphere became smoke-free. Anti-smoking activists also campaigned to have warning labels displayed in tobacco advertising and cigarette packaging. Such approaches helped reduce tobacco consumption around the world and can be adapted to the anti-carbon struggle. College campuses and town centers could, for instance, be declared car-free—a strategy already embraced by London’s newly elected mayor, Sadiq Khan. Express lanes on major streets and highways can be reserved for hybrids, electric cars, and other alternative vehicles. Gas station pumps and oil advertising can be made to incorporate warning signs saying something like, “Notice: Consumption of this product increases your exposure to asthma, heat waves, sea level rise, and other threats to public health.” Once such an approach began to be seriously considered, there would undoubtedly be a host of other ideas for how to begin to put limits on our fossil-fuel addiction. Such measures would have to be complemented by major moves to combat the excessive influence of the fossil-fuel companies and energy states when it comes to setting both local and global policy. In the U.S., for instance, severely restricting the scope of private donations in campaign financing, as Senator Bernie Sanders advocated in his presidential campaign, would be a way to start down this path. Another would step up legal efforts to hold giant energy companies like ExxonMobil accountable for malfeasance in suppressing information about the links between fossil-fuel combustion and global warming, just as, decades ago, anti-smoking activists tried to expose tobacco company criminality in suppressing information on the links between smoking and cancer.